Next Appraisals: We work closely with all stakeholders to identify the capacity and potential of your learning community. the capacity and potential of your learning community. 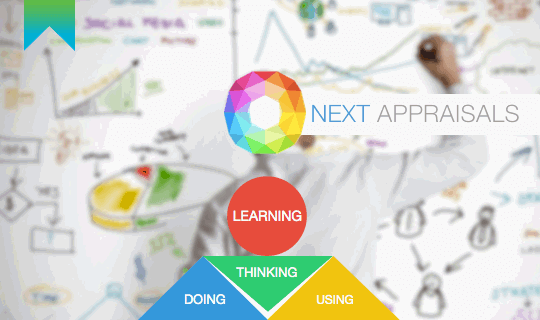 Next Learning uses a broad palette of digital tools hand picked to achieve specific goals. We consult across a range of sectors from K – Higher Ed, empowering leaders to conceive, plan, develop and implement digital learning approaches tailored to unique educational contexts and philosophies. Next Learning works to invigorate and empower your education team. Our stakeholder mapping process clearly prioritises recommendations for change, builds ownership and enables confident decision making for the future. Next Learning provides expert strategy and development advice to school leaders so that digital learning can be taken to the next level. We help build a culture of innovation while also nurturing ICT self sufficiency. Next Learning knows that ICTs can be expensive and is committed to ensuring that every dollar spent on hardware and software contributes to the core business of clients — learning and teaching. Next Learning actively listens and collaborates, and is not a top-down training provider. We apply global knowledge to local issues and help deliver ‘technology for learning’ in a sustainable way. Who do we require access to? The goal is to identify areas of teaching and learning opportunity, business risk, productivity efficiencies, and potential cost savings. Education providers often require an independent, expert assessment of current-use technology, digital applications, and impacts on learning in relation to institutional aspirations. To conduct such appraisals we prioritise the thinking (strategy, leadership, vision), what teachers and learners are doing (pedagogy) and the tools they are using (infrastructure). Next Learning consultants use a combination of interviews, workshops, online surveys and technical assessments to conduct an appraisal. During the Next Appraisal process we require access to some members of your leadership team, ICT staff, teachers and students. We also require access to hardware, software and technical information about systems being used. consciously independent. We pride ourselves on being platform agnostic and without affiliation to vendors, resellers or IT service suppliers. Investing in an independent appraisal provides evidence of success and strategic thinking to the school community, and shows real commitment to the creation of the best possible learning environment. This varies according to the size of the school and the scope of the works to be undertaken. As an indication, the appraisal of a college of 1000 students may take six to eight weeks, while the assessment of smaller primary schools may take only two to three weeks. Your school will receive a comprehensive report detailing findings in relation to strategy, leadership, vision, pedagogy and infrastructure. Next Learning will also make a presentation to leadership providing a detailed analysis of the status quo, priorities and recommendations. Armed with a very clear understanding of strengths, weaknesses and future needs, that decision will be yours. Many schools require a Strategic ILT (Information & Learning Technology) Plan based on the appraisal. Next Learning can assist in decision-making and/or implementation aimed at delivering outcomes within institutional means. The best way to get underway is to contact us by phone or email so that we can meet to fully explain the appraisal process. Comprehensive strategic appraisals focussed on the thinking, doing & using of learning technology. Data survey of school community assessing the learning impact of their actions with technology. A comprehensive analysis of the infrastructure, technologies and services available.